The latest NamiRo study analyzes and compares 19 relevant mining standards regarding sustainability requirements and design of the schemes. The study can be found here. The presentation was titled "Evaluating standards for sustainable minerals from a supply chain perspective" and has been presented and discussed in the curse of the panel on "Sustainability in Operations and Logistics". The work was based on a systematic review of the sustainability standards focused by the project. The third NamiRo workshop focused on the topics finance and supply chain. Many stakeholders took part in the event in Kassel, Germany on 28th April 2016. In the beginning the clarified project aims were presented (development of a blueprint for an ongoing accepted standard and a suitable initiative). Following, the actors along the supply chain discussed about requirements to reach an ideal state of sustainability in the system. Furthermore, the attendees evaluated theses about financial economy and supply chain and their interfaces with sustainability standards. The project team appreciates the active participation. The second NamiRo workshop took place in Hannover, Germany on 27th November 2015. During the first part the project team presented interim results of the state of knowledge, focusing on already existing standard requirements as well as characteristics of the corresponding initiatives. The second part addressed the discussion and evaluation of standard requirements and different versions to ensure their compliance. The whole project team wants to thank all participants for an exciting and informative time. After determining the projects framework conditions, sampling the stakeholders ideas systematically and conducting discussions regarding specific mining- and sustainability-related topics during the first workshop, the second workshop (Nov-27-2015 in Hanover) focusses on the identification of sustainability indicators and on the selection of case studies. At the international Santander Summerschool "Sustainable Development of human society within the frame of planet Earth" Prof. Hiete will give a lecture on the topic ""Standard setting for responsible mining – a path towards sustainability?". Prof. Hiete will give a lecture at the 7th German-Brazilian Symposium for Sustainable Development on the topic "Standard setting for mineral raw materials – a chance for more sustainability in newly industrialized countries?". The symposium takes place from Oct-04-2015 to Oct-10-2015 at the Heidelberg University. The presentation focused on research results regarding the inclusion of mineral supply chain specific challenges in the currently available concepts on sustainable supply chain management as well as the proposition of an integrated approach. These items have been discussed and further research directions have been generated. 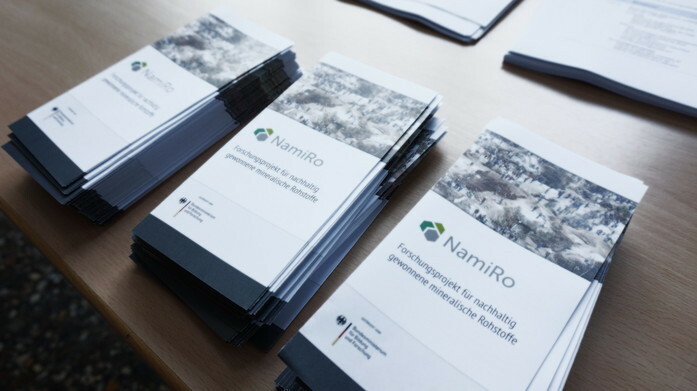 At the first stakeholder workshop of the NamiRo-Project on June 25, 2015, about 30 stakeholders discussed issues about sustainability in raw material extraction. Experts from industry and industry associations, NGOs, research, public authorities, development cooperation and the financial sector debated basic questions of the project’s goals and its focus tasks. The project team wishes to thank all participants for this informative, exiting and, in our opinion, successful first workshop! The presentation focused on the current status of the academic discussion at the intersection of sustainable supply chain management in mining and mineral supply chains as well as its further development. It has been presented and discussed in the curse of the panel on "Sustainability in Operations and Logistics". The work was based on a systematic review of the current academic discussion on the topic, which has been complemented with the latest results and discussions in the NamiRo-project. Core of this research project is a stakeholder process which aims at bringing together stakeholders from different fields to develop a basis for social and ecological standards in the mining sector. 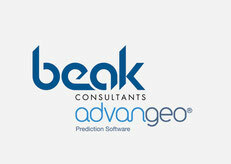 For this purpose we would like to welcome you to support us with your expertise. The first workshop takes place Jun-25-2015 in Hanover (Germany). If we've aroused your interest, we are looking forward to hearing from you. In case you have further questions, please contact us via info@namiro-projekt.org. Project-related workshop in the course of the VWI Wissen 2015 in Kassel. 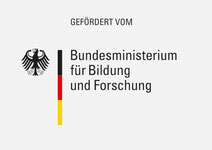 From the 27th till the 30th of May the “Verband Deutscher Wirtschaftsingenieure e.V. (VWI)” hosts the “VWI Wissen” conference 2015 in Kassel, which focuses on “sustainability & energy efficiency”. 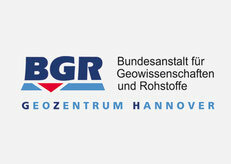 In the context of this five-day convention the project-related and practitioner-oriented workshop “sustainability impacts of minerals in e-mobility, renewable energy and consumer products” will be conducted at the University of Kassel. At the same time two other workshops will address the topics “renewable energy concepts for the future” and “new energy sources”. Finally the results of the three workshops will be presented and discussed among all participants, which puts the issue of sustainability impacts of mineral resources into the focus. Scientific question of the NamiRo research project represented at the 77th annual meeting of the VHB (German Academic Association for Business Research). 22 scientific and practical partners met at the first workshop to discuss goals of the project, research process and challenges concerning the development of new insights. We would like to thank for the productive discussion, critical comments and looking forward to the further course of the project. Cape Town, February 2015: Partners of the NamiRo project represented on Africa’s largest mining fair (Mining Indaba, http://www.miningindaba.co.za).